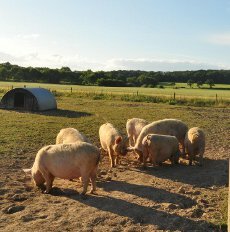 Located between the Malvern Hills and the start of the Teme Valley, we are a small family farm, specializing in rare breed Middle White pigs. 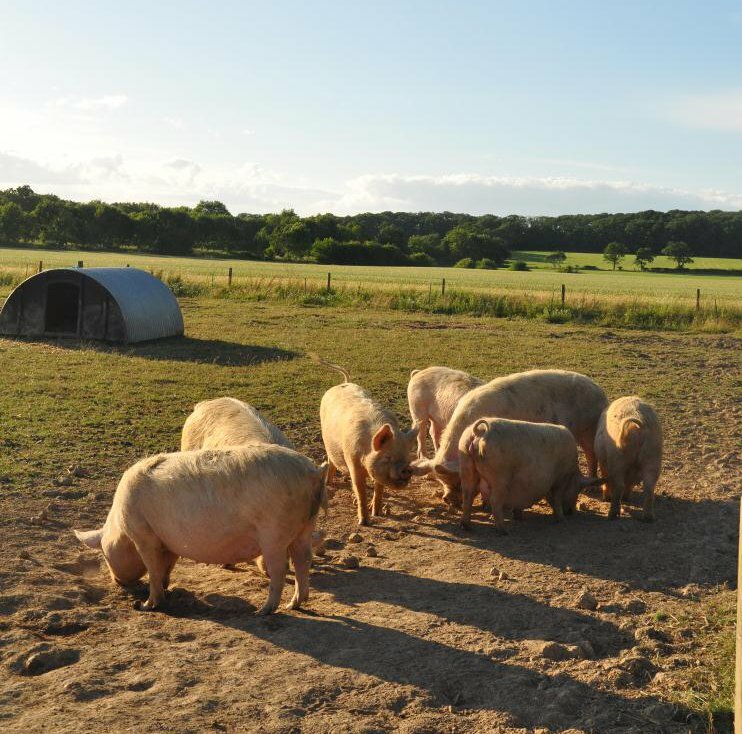 All our stock is raised from our pedigree Middle White bloodlines, registered with the British Pig Association. Some are raised for pork which is available for sale to the public as well as supplying local pubs and restaurants. We also rear breeding stock and growers for sale to other farmers and smallholders. Why not stock up the freezer or get together with friends and family and order half a pig at only £7 per kilo. 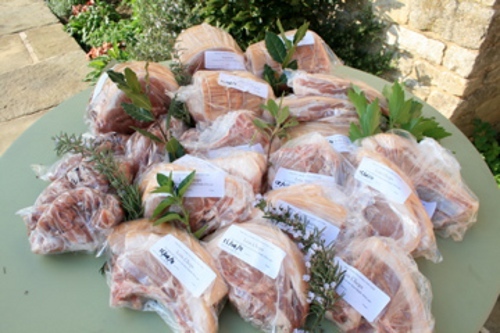 Each half pig pack contains approximately 20-25 kilos of our free range rare breed pork butchered into joints and chops (mince or steaks optional) and packed and labelled ready for the freezer. Free range pig roasts make a spectacular and affordable way to entertain and feed guests at all sorts of special occasions. We offer a comprehensive catering service; we cook, carve and serve the pig roast along with homemade apple sauce, stuffing, fresh rolls or other accompaniments as required. We find guests really enjoy the personal touch of the farmer and his wife providing the pig roast and like having us on hand to answer any curious questions! You can buy our free range pork and homemade sausages and bacon directly from us. Please contact us for enquiries. We are currently running a special offer on purchasing half a pig to stock up the freezer and offering free local delivery. Our sausages are made with natural casings and are handmade with all natural ingredients and no artificial flavours or preservatives. We have a range of registered and unregistered Middle White stock for sale, including weaners, boars, sows and gilts from several bloodlines. Please contact us with any livestock enquiries.